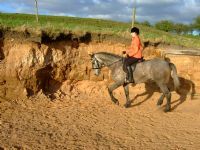 -	Try to keep your horse in his or her normal routine. If you plan to change the routine for Bonfire Night, start doing it as early as possible so your horse gets used to the new routine. -	Make sure your horse has company and do a late-night check when fireworks have ended. -	Consider using brushing boots and/or over reach boots to protect legs. -	Play music in your stable area to cover the noise of the fireworks. NOTE: Introduce a radio or music before the event to get your horse used to the noise. -	Leave your stable and yard lights on to lessen the effect of flashes in the sky. -	Keep your horse occupied. Use boredom busters such as Organic Lucie Pellets in a nut ball, and LucieBrix, MeadowBrix or SainfoinBrix for your horse to graze on. Make sure your horse has ad lib hay or grass. -	If you are concerned that your horse will get stressed and anxious, start adding Lunar Eclipse to his or her feed now, and double the dosage the day before, during and after Bonfire Night. Lunar Eclipse is a 100% natural blend developed for stressed and temperamental equines. -	Ensure that you have contact details to hand for all horse owners and vets should a problem arise. 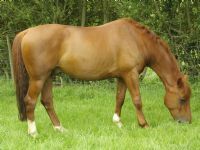 -	If you are very worried that your horse will react badly, speak to your vet for advice. Fireworks can be set off until midnight on Bonfire Night, and up until 11pm on other nights. For more information on fireworks and the law, visit: https://www.gov.uk/fireworks-the-law.